Traditional Pre-training nutritional recommendations were focused on carbohydrate loading, however more recent literature supports the benefits of carbohydrate combined with amino acids, creatinine and caffeine, among others, as key nutrients. Individuals who participate in endurance sports are required to have appropriate recovery strategies in place, in order to quickly reduce inflammation caused by acute muscle damage, refuel the body with lost nutrients, protect the delicate immune system, allow rehydration and replenish energy stores – all so that the body can heal, repair and recover from the depleted state. For an athlete, protein is most important for muscle repair and growth. During resistance training and prolonged bouts of exercise muscle fibres break down. The break down of muscle fibres, initiates a response from satellite cells to form new protein strands and repair damaged fibres. Satellite cells use amino acids as building blocks. Without sufficient levels of amino acids from protein, this process can not occur effectively. From a nutritional perspective, a diet rich in a wide variety of plant foods and proteins will give the body it’s best chance at peak health as this provides a broad array of essential micronutrients (e.g. B vitamins and iron) and antioxidants. Ensuring sufficient and good quality carbohydrate consumption on training and event days is also key to ensuring muscle glycogen stores are at their peak. The amino acids from proteins assist the strength of many tissues, whilst additional vitamins and minerals work together to strengthen bones and collagen. The right combination of carbohydrates, protein and fat is also important. No one single nutrient is sufficient to maintain swift and efficient energy production during exercise. A large variety of vitamins, minerals, macro-nutrients, amino acids and other compounds work in unison to keep the body performing at its peak, and these substances are required in greater amounts when training at a high intensity. L-arginine works to increase nitric oxide (NO) synthesis, responsible for the dilation of blood vessels which enables greater blood flow to all organs including the muscles, heart, lungs and brain. Greater circulation means enhanced delivery of oxygen and nutrients, hence greater performance. L-arginine plays a significant role in the secretion of endogenous growth hormone and is essential for adaptation post training. L-arginine also plays a role in creatine synthesis. The Nitric Factor delivers 3g of Arginine per serve. Dosage: 3-6g on an empty stomach. There are several different available forms of creatine: creatine anhydrous, creatine in salt form (e.g. creatine malate) and creatine in ester form. The potential advantages of creatine salts include enhanced aqueous solubility and bioavailability which may reduce gastrointestinal adverse effects. During the first 10 seconds of intense exercise, creatine levels are markedly depleted. Myocytes use creatine to make phosphocreatine (PCr), PCr is then used to convert adenosine diphosphate (ADP) to adenosine triphosphate (ATP). Therefore creatine is used as a substrate for the creation of ATP. PCr also functions as a buffer to intracellular hydrogen ions associated with muscle fatigue during exercise. Creatine supplementation has been shown to enhance the performance of exercise involving repeated sprints or bouts of high intensity exercise, separated by short recovery intervals. Creatine has been shown to enhance the force of muscle contraction, increasing strength and improves training adaptations when combined with resistance training at 0.1g per kilo of body weight. Dosage: from 2g -3g daily or 0.3g/kilo of body weight. Coenzyme Q10 plays an important role in the mitochondrial synthesis of ATP, it also functions as an antioxidant in cell membranes and lipoproteins. CoQ10 is popular for use among sports people to increase energy and maintain healthy cardiac function. CoQ10 has been shown to increase short term maximum performance, boost energy and speed recovery from exercise muscle exhaustion. Positive results were seen in a trial of athletes taking CoQ10, with 94% of participants showing improved performance and recovery times. A second study showed that higher muscular CoQ10 levels were associated with better marathon performance and those with lower levels of muscular CoQ10 did not perform as well. Click here for Emeds Best CoQ10 supplements. Dosage: 50 – 300mg taken once daily with meals. Magnesium is one of the most vital micronutrients when it comes to energy synthesis, as it is actively involved in all steps of energy production. Because of it’s wide range of uses in maintaining physical activity, individuals partaking in frequent exercise can find themselves approaching deficiency, and requiring supplementation to prevent premature fatigue and muscular concerns. Magnesium is also the key nutrient required for muscle relaxation after a contraction. The muscular concerns experienced in the face of magnesium deficiency therefore include muscle cramps, soreness and spasms. Click here for Emeds Best Magnesium Supplements. Panax ginseng is a perennial herb with a taproot resembling the shape of the human body. It grows in northern China, Korea, and Russia. Ginseng is well known for it’s stimulating properties. In TCM Panax ginseng is used to increase overall energy, amongst other properties. Panax ginseng is popular among athletes and sports people to increase focus and energy and improve aerobic capacity. In research it has been shown to improve aerobic capacity, increase oxygen uptake and increase mental capacity and concentration. L-carnitine and Acetyl-l-carnitine are used in the weight loss and sports industry for a variety of benefits including weight loss, increased energy and neuro-protection. Carnitine can be obtained from the diet (red meat and dairy) and can also be synthesised from the amino acids lysine and methionine. The majority of endogenous carnitine is stored in the “carnitine pool” within skeletal muscle. The “carnitine pool” is a storage reservoir of many forms of carnitine. When required, carnitine can be accessed from the carnitine pool, converted to the required form and transported between tissues. The kidneys filter and are responsible for maintaining adequate levels of carnitine in the body. L-Carnitine aids the transportation of fats across the cell membrane for use as an energy source and modulates intracellular fatty acid metabolism. Plays a decisive role in the prevention of cellular damage and ageing and favourably affects recovery from exercise stress and chronic fatigue. Bioceuticals Acetyl-L-Carnitine contains 500gm per capsule. 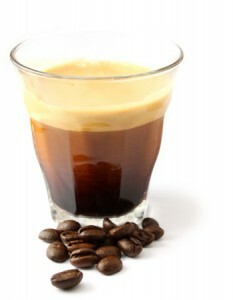 Caffeine is rapidly absorbed and transported to all body tissues and organs where it exerts a large variety of effects. The mechanisms underpinning these effects may vary between individuals and include both positive and negative responses. Effects of caffeine include altering the central nervous system to change perceptions of effort or fatigue, stimulation of the release and activity of adrenaline, mobilising fats from adipose tissue and the muscle cell, changing muscle contractility and effects on cardiac muscle. There is sound evidence that caffeine enhances endurance and performance over a range of exercise protocols. including short-duration high-intensity events (1-5 min), prolonged high-intensity events (20-60 min), endurance events (90 min + continuous exercise), ultra-endurance events (4 hours +), and prolonged intermittent high-intensity protocols (team and racquet sports). Caffeine consumption has been clinically proven to enhance the breakdown of stored triglycerides for use as an energy source, plus doses of between 1.5mg and 3.5mg/kg body mass (BM) have been found to improve time trial performances in athletes. An espresso prior to training may therefore be very beneficial. Protein is required for multiple functions throughout the body. 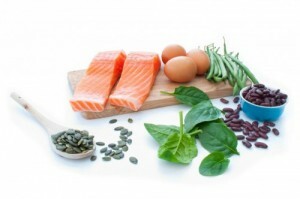 For an athlete or person involved in an exercise regime, protein is extremely important for muscle repair and growth. Individuals involved in exercise and resistance training that aims to enhance strength, power and muscle growth, require higher intakes of protein. Elite endurance athletes have higher protein requirements due to the muscle breakdown that can occur during endurance events. Whey protein is the best form of protein for muscle recovery, because it is easily assimilated and digested, as well as it containing the essential BCAAs) and glutamine required for protein synthesis. Research has shown that the benefit of protein consumption for recovery may be related to timing. A dose of 20g during and/or immediately after (within 20 minutes) of training tends to maximise protein synthesis rates. Supplementing with additional BCAAs will also greatly enhance muscle protein synthesis for efficient recovery and muscle growth. Results from numerous studies have indicated that it is critical to consume amino acids immediately following exercise if the goals are to maintain muscle, increase performance and to support recovery processes. While protein synthesis is elevated up to 48 hours following an exercise session, protein degradation is also increased; resulting in a negative protein balance if additional nutrients are not supplied. Bioceuticals Aminoplex Whey, Ascend Sport WPI and IsoWhey Sports Lean WPI are great whey protein powders. Whey is easily mixed into delicious smoothies. Click here for your free Emed Super Smoothies eBook. Branched-chain amino acids are popularly used to enhance exercise performance, prevent fatigue, improve concentration, and reduce protein and muscle breakdown during intense exercise. Branched-chain amino acids are essential and must come form dietary sources or supplementation. The BCAA’s include leucine, isoleucine, and valine. BCAA’s act as modulators of protein synthesis, substrates for protein synthesis in skeletal muscle, adipose tissue and the liver, they are precursors in the synthesis of alanine and glutamine and have an anabolic effect on heart protein metabolism. BCAA’s stimulate the release of insulin, which is required for maximum protein synthesis. BCAAs are depleted through exercise, and as levels drop, athletes experience this as fatigue. Chronic depletion of these amino acids can result in overtraining syndrome and a severely impaired immune system Research suggests that BCAA supplementation regulates serotonin impacting cognitive function post endurance training. Musashi Muscle Recovery BCAAs decrease muscle protein breakdown during heavy exercise. Ornithine is an amino acid which is metabolised form l-arginine. Ornithine supplementation increases the bodies ability to buffer ammonia post exercise. Ornithine reduces physical fatigue (2000mg/day for 7 days); by improving the efficiency of energy consumption and promoting the excretion of ammonia. L-ornithine appears to lower cortisol according to one study released in February 2013. Cortisol is typically elevated during post exhaustive exercise and is found to be chronically elevated in competitive athletes. One of Glutamine’s roles is as a nitrogen shuttle, which helps protect the body from high levels of ammonia. Glutamine acts as a buffer, accepting excess ammonia and releasing it when needed to form other amino acids, amino sugars, nucleotides and urea. Glutamine supports healthy physical performance in athletes (3500mg or 100mg/kg) 10,11 and therefore athletes undergoing a strenuous workout schedule may benefit from glutamine supplementation. Endurance athletes undergoing intense, prolonged training haver a higher risk of infection due to apparent immunosuppression. Glutamine is a source of fuel for the immune cells and may have specific immune stimulating effects. Research has demonstrated that plasma glutamine concentration is lower after prolonged, exhaustive exercise which may contribute to impairment of the immune system at a time when the athlete may be exposed to opportunistic infections. IsoWhey Sports Glutamine Powder contains 5g per dose. Taurine Increases muscle contractibility of both skeletal and cardiac muscles. Taurine is able to attenuates exercise-induced DNA damage and enhance exercise capacity due to it’s cellular protective properties. Taurine has also been shown to increase blood flow and improve post exercise recovery. Thorne Research Taurine contains 500mg per capsule. Dosage: 500 – 2500mg daily. The concept of a high antioxidant intake for athletes participating in physically demanding events has been highlighted as an area for new research. Recent research suggests that the specific action from a class of flavanols is able to modulate inflammatory pathways, aid recovery and reduce pain associated with intense physical activity. Eagle Anti-Ox Complete combined a wide variety of anti oxidant nutrients to enhance free radical protection. Tart Cherry is a potent anti-oxidant and free radical scavenger, containing an array of anthocyanins phenols and flavanols. These phyto-chemicals offer cell protection, aid recovery and repair, and modulate inflammatory processes. 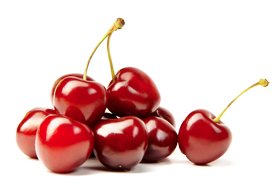 Research has shown that Tart cherry was able to significantly reduce symptoms associated with post exercise muscle damage, with 4% of participants experiencing strength loss and pain, compared to 22% of the placebo group, 4 days post vigorous exercise. Tart Cherry is a vital component to IsoWhey Sports Refuel & Rebuild. Natural pomegranate extract has a rich antioxidant polyphenol content and is a good source of potassium and high in vitamin C.
Because Pomegranate is a rich source of polyphenols it may reduce muscle soreness.65 Pomegranate polyphenols have antioxidant activity, the antioxidant activity has been shown to be as much as three times higher than red wine or green tea. Preliminary research suggests pomegranate juice can increase nitric oxide synthetase activity in the blood vessel endothelium. Nitric oxide synthetase increases the availability of nitric oxide. It may be wise to take pomegranate juice with arginine and citrulline, as it blocks the oxidation of nitric oxide to peroxynitrite, a harmful free radical.